When visiting Web sites certain information about you and your computer can sometimes be collected. This section explains what information Backpain.com.au collects, and how it is used. If you choose to sign up for the back pain forum you must provide a user name, password and email address. Further contact information and details may be supplied at your own discretion and is not compulsory. The email address can be hidden from other forum users, but will always be available to the forum administrators. 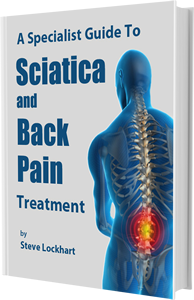 If you sign up for any of our information or the mailing lists, your contact details will only be used to allow Steve Lockhart to attempt to provide relevant and useful information about back pain, its causes and treatments or other information he feels may be of interest to you. All emails sent out contain an unsubscribe link at the bottom. We always respect your privacy. Your details will never be disclosed to any third party.